BANT has secured free tickets for BANT members and their friends, family and clients to this year’s Allergy & Free From Show. 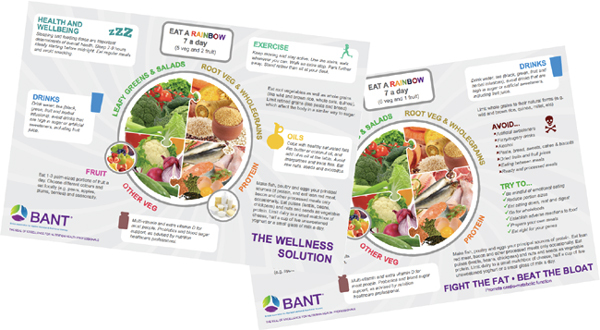 This month’s BANT News contains details of further discounts and benefits for members, including a free food intolerance test . There are features on working with charities, Nutritional Therapy v WeightWatchers, an update on BANT’s clinical supervision programme and a new regular feature on navigating the world of social media. Access the BANT news here. This is the sixteenth edition of our new look BANT News we hope you enjoy it. BANT today issued its full support for Action on Sugar’s seven-point plan to control sugar in foods and soft drinks in a bid to tackle childhood obesity. BANT Chair Miguel Toribio-Mateas said: “BANT is fully behind Action on Sugar’s recommendations to cut down the level of sugar in foods. Research shows sugar can be addictive and hugely detrimental to health and that is not limited to obesity. Action on Sugar is a group of specialists, including doctors, concerned with sugar and its effects on health and wants to introduce measures to cut sugar by 40% in food by 2020. Find your local nutritional therapist who can help you reduce sugar in your diet at www.bant.org.uk. BANT has this week appointed four new directors and one non-executive director to its Council – Barbara Powell, Graham Botfield, Anne Pemberton, Daniel O’Shaughnessy and Sue McGinty were inducted at BANT Council last week. Barbara Powell has been appointed as Membership Director, Graham Botfield as Business Development Director, Anne Pemberton as Centre of Excellence Director and Daniel O’Shaughnessy as External Communications Director. Sue McGinty is the non-executive Director of Policy. BANT also said a fond farewell to Jane Nodder, Deborah Colson and Catharine Trustram Eve at the end of May. Jane has been a director for three and a half years and worked on the Professional Practice Committee for more than five years. Jane was responsible for setting up the Clinical Supervision Programme. Jane will still be part of BANT, but in a different role as Head of Clinical Governance. Deborah and Catharine have been directors for two years and led the Communications team. They both contributed to the development of BANT’s five year strategic plan. Catharine was also responsible for delivering the successful GP Engagement Project. BANT Chair Miguel Toribio-Mateas said: “There is so much going on within BANT that it was crucial to get more directors involved, particularly those who have specific skills to address growing areas of work within the organisation. “I want to thank Jane, Deborah and Catharine for all their hard work over the last few years. Our new directors bring a wide range of experience, knowledge and their own areas of expertise to Council and we are very much looking forward to working with them in the coming months,” he added. Read more about our new directors here. BANT still has one vacancy – Director of Communications, as well as many volunteering opportunities and is looking for candidates who have the skills to help deliver a challenging communications programme. For further information please contact Melanie de Grooth – theadministrator@bant.org.uk. BANT is delighted to have negotiated an exclusive 50% discount on registration for The Sugar Reduction Summit – Science, Policy and Public Health www.thesugarreductionsummit.com, which will take place at the Royal Society, London on Wednesday 9th July 2014. BANT is delighted to announce that it has partnered with York Test, the leading provider of food intolerance testing in Europe, to provide special deals exclusively for members. The company has also committed to only offering consultations from BANT Registered Nutritional Therapists for its clients. BANT is delighted to announce that it has partnered with YorkTest, the leading provider of food intolerance testing in Europe, to provide special deals exclusively for members. The company has also committed to only offering consultations from BANT Registered Nutritional Therapists for its clients.